1:1 image quality and No.1 fast speed. Backing up to DVD has become a thing of the past. On the contrary, the landscape has changed from the outmoded physical disc to fashionable digital file. Thus, creating digital copies from DVDs is prevailing nowadays, especially when Apple reached a consensus of ditching disc drives from its Macs and Microsoft removed Media Center from Windows 10. This makes sense when it comes to rip DVD to hard drive. But how to rip DVD for the best possible results on Mac or PC? Have you met with annoying errors while you rip protected DVDs using Handbrake or Mac The Ripper? How many do you know about the best DVD ripper for Mac and Windows? Check here to get an overview of the best DVD ripping software working on both Mac and Windows, and know the tutorials about how to copy/rip DVD on your computer with best quality. Discs chocking up your shelves can be cumbersome and unmanageable, but you can declutter them and clear some space by ripping DVDs to store discs on hard drive. DVDs are vulnerable to scratch, fingerprint and damage. To create backup of DVDs and thereby store them on computer can prevent them against every wear and tear. Packing entire DVD collection into your luggage for viewing on the fly are ridiculous. But with a good DVD ripper, you don't need a physical disc in hand to watch a movie. Commercial DVD has the region code that prohibits player with another region from playing it. But you can rip DVD to watch the movie even when you travel abroad. No disc drive: The removal of disc drive from Macs has been blamed by dvd owners. The way out of the problem when you'd like to watch dvds is to digitize DVDs to QuickTime friendly formats. No DVD support in Windows 10: With Media Center gone, Windows 10 no longer supports DVD playback. But you can enjoy the content by getting the movie out of DVD and encoding it into a format you can play with a good DVD ripper. Share & upload DVD: After digitizing DVD, it will be easier to customize the content, edit out FBI warnings, ads, extract the audio, share with friends or upload to YouTube. Fix scratched DVD: For some slightly scratched DVDs, you can convert DVD to digital format to get it repaired and watch the movie normally. No need to waste money: A DVD costs $20. By making a digital copy of it, you can safeguard it and will no need to repurchase the fragile disc again. Besides, ripping DVD to digital format will free you from buying the digital copy on iTunes, Amazon or Google Play again, if you already own a DVD. 2018 is a year full of great new DVD movie releases, such as Venom, Incredibles 2, Black Panther, to name a few. But these new titles also plague many users with a lot of new errors during the DVD ripping. Incapable tools generally told the new titles are dirty, failed to choose the main title, ran into subtitle track issue, repeated or skipped the ripping and more. Some rips cannot even be played after the conversion. So why do this happen? Technically, to ensure the maximum market profit, the movie industry poses every technological hurdle to fight against piracy. Thus publishers such as Disney, Warner Bros and Sony encrypt protection measures to make ripping DVDs as difficult as possible. In most cases, common DVD rippers for Mac/Windows will crash half away. Even some DVD decrypters fail to get the best possible results after DVD ripping. Instead, they will output disordered files or get large videos up to 40 gb. So what're DVD copy protections? How do they work to set barriers to rip DVDs on your Mac or PC computer? The content below will cast light on. CSS uses a proprietary 40-bit stream cipher algorithm to prevent illegal copying of files. When contributors encrypt DVD on Mac/PC with CSS, this scheme will prevent byte-for-byte copies of an MPEG stream from being playable. RCE is commonly applied to DVDs from Warner Bros and Columbia, as a move to prevent region 1 DVDs from playing on region-free or multi-region DVD players. But most DVD decrypter for Mac/PC can handle the measure. UOP is used for preventing viewers from performing prohibited actions on a DVD. When these actions are attempted, copyright notices, such as FBI warning, will be displayed. ARccOS is a complicated DVD copy protection system made by Sony, which creates corrupted sectors on Sony DVD. Most DVD rippers for Mac and Windows will encounter the bad sector errors to restrict users from ripping the discs. DVD trapped in Disney X-project will have 99 titles, along with movie size larger than 40 GB. This makes it impossible to make DVD backup, let alone DVD ripping, with common free DVD rippers. See tutorial about how to rip Disney DVD. Developed by Macrovision, APS negatively impact AGC circuit by adding pulses to analog video signals. While you rip an encrypted DVD with APS, the image on copied DVDs will be garbled and unwatchable. Movies are great, but copy protections are headaches. These measures put up roadblocks to common DVD rippers while creating copies of discs. But here is the aspirin. 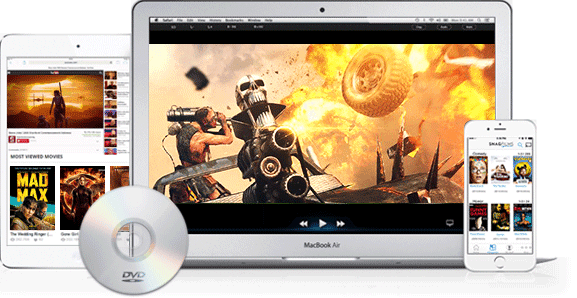 The first-class MacX DVD Ripper Pro is the best among common DVD rippers. It works like a charm to deal with any protections on Mac computers and laptops. Thus, you can flawlessly rip/convert protected DVDs to Mac, PC, MP4, MKV, AVI, WMV, MOV, FLV, MPEG, H264, H265/HEVC, MPEG4, iPhone, iPad, Android, Windows Phone etc with the DVD decoder and encoder. Note: The software company only advocates users to rip DVD on Mac/PC under the concept of fair use. Any redistribution of the content is not allowed. Please abide by the local law before doing so. ● Support all DVDs, incl. new/99-title DVDs, damaged or unplayable DVDs. ● Rip DVD to MP4, H.264, AVI, MOV, WMV, FLV, MKV, MP3 and so on. ● Convert DVD to iPhone, iPad, Apple TV, Android, Surface, etc. ● 1:1 Clone DVD to ISO, MPEG-2 file with original video/audio quality. ● Support full GPU Acceleration. Rip a full-length DVD as fast as 5 minutes. This program is the best one I've ever used for DVD ripping. There are so many options for my iPhone, iPad, PS4 and even Apple TV. Any you will not feel at a loss with the user interface. Just 3 clicks will finish the DVD ripping. My struggle to rip my bulky DVD collection in limited span of time is over because of this tool. It is the best DVD ripper software so far, with rich output profiles. It's the best around and rip DVDs that are 2 hours long in about 12 minutes only! The best output quality, easy to use. I tested 10 leading DVD ripping software before making a decision to buy this one. 10/10 so far. Rip DVDs and play very well on android via a media server. Top DVD ripper and reasonably priced. The race of DVD ripping software has never ended or slowed down. Quite the opposite, it's just revving up and makes it difficult to choose from one another, just because the DVD ripping speed you adore most doesn't mean you will tolerate at the cost of losing quality (to name a few). Some free DVD ripper software, though meeting the basic requirements, is devoid of additional features. Now that there are so many DVD ripper for Windows, Macbook Pro/Air or iMac reviews centering on features and price, here we just share what's at stake and what customers care most when choosing the best DVD ripper. Good DVD ripper tools use multi-core processing, enables to copy a DVD besides encoding it, make use of GPU encoding & parameter settings. Besides, computer config, RAM, DVD drive read speed also influence ripping performance. No one like the DVD rips turn out bad. The best DVD ripper Mac or PC users will love is it outputs videos without quality loss. Take a mind enjoying HD films is of great pleasure, but it takes at the cost of huge file size and slow ripping speed. What good is a DVD ripper for Mac or Windows when it cannot handle commercial DVDs since many new DVDs are encrypted. So capable DVD ripper software shall not only support homemade DVDs but rip protected DVDs with best result. Not everyone is good at parameter settings. Instead, a drag-n-drop interface, with ready-made device profiles and simple steps, will be must-have in evaluating best Mac/Windows DVD ripper. Plus, tech support and user guide are appreciated. Thankfully, there are still many great DVD ripper tools for Mac and Windows designed to make the discs playable on any portable devices in an easy way. But which programs are the best at ripping DVDs on Mac and Windows? With the basic tips and criteria, incl. format, quality, speed, easiness, features, users feedback, professional reviews and questionnaires, etc all under consideration, here we've complied the top 7 list of best DVD ripper software for Mac and Windows users to rip protected or region locked DVD movies to digital formats so as to play them on Mac, Windows 10/8/7 and even players, mobile devices, TVs, game consoles on the go. Note: There are many well-received DVD rippers that has been halted, such as DVD Decrypter, DVDShrink, etc. To ensure effective DVD rips on Mac and Windows, even for the most recent movies, we've listed the functionally complete DVD rippers with best performance and constant update. The DVD ripper for Mac and Windows is the Swiss army knife in DVD decryption, backup, conversion and edition. The selling points are it is compatible with all protections and rip protected DVDs to Apple, Android, Windows phones, Google devices, etc. The result from Macworld is impressive, indicating it took less than 8 min to rip a 96min DVD to H264 AAC with virtually alike image on a standard settings Core i5 Mac Mini. Handbrake is the pioneer in the field of DVD rips on Mac, Windows and Linux, praised for its open source, great ease of use, better image quality, conversion presets and DVD encoding features. This free DVD ripper for Mac rips homemade DVDs to MP4 and MKV and relies on VLC to deal with CSS on discs, though sometimes it doesn't work. The latest version offers a great profiles overhaul for device, web, MKV and general use. A speed boost of up to 10% is achieved. On the 64-bit version on a 2.66GHz quad-core Mac Pro with 8GB of RAM, Handbrake took 31 min to rip a 62-minute Six Feet Under using the Apple TV preset, which is a little longer than MacX DVD Ripper Pro. MTR is as famous as Handbrake, which is classically simple yet free DVD ripper running on Mac and creates a playable copy of a DVD on Mac's hard drive by steering clear of somethine like CSS, RCE, UOP, Macrovision. The operation is pretty easy and quality isn't an issue with MTR as it doesn't encode the DVD into any format but only save DVD in video_ts folder. You have to note MTR's free version 2.6.6 doesn't work on OSX newer than Snow Leopard and stopped development due to legal issue, but you can access the mystery paid version 5.0.0.7 that works on the newer Mac by signing up to forum. If you think making a copy of a commercial DVD is a chore, RipIt is the best DVD ripper for Mac alternative. The program somehow works the same as Mac The Ripper, touting limited DVD extracting feature but offering you simplest DVD decoding procedures. You just extract the files from the newer discs so that you can make copies of them instead of alphabetizing shelves full of DVDs. But attention shall be paid that RipIt needs generally 6-8 GB of hard-drive space to rip a feature-length DVD if without compression, which is 6-7 times larger than those when you rip and compress the main title DVD to H264 using MacX DVD Ripper. DVDFab's strength to convert DVD with sophisticated protections and support even the latest DVDs is more than enough reason to be the best DVD ripper. It has rich profile library that allows you to copy and rip protected DVDs to hard drive and convert any DVD/ISO image/DVD folder to AVI, MP4, MP3, TS, VOB, WMV, etc smoothly. If you value speed, you will be amazed at this tool, attributing to multi-core CPU, NVIDIA CUDA, Intel QSV, and batch conversion applied the same as MacXDVD. It is available to select audio tracks, subtitles, adjust parameter settings and touch up the DVD movie at will. The price is higher than other DVD rippers, ranging from $105.6 to $299, based on your ripping needs. As its name suggests, MakeMKV only rips DVD to MKV. But the limited output option doesn't mean any other problem with DVD ripping. The free DVD ripper deserves best title as it can both homemade and commercial DVDs with high quality, while preserving all tracks, chapters, HD audio, menus, etc. However, the newly released DVDs such as Hacksaw Ridge cannot be ripped properly but come with multiple playlists error. But older discs will be decoded and encoded properly within a short period of time. It proves to be the best DVD ripper freeware for fast speed and super easy process without more clicks than simply loading DVD and tapping Make MKV. We join Aimersoft in our best DVD ripper list simple because the DVD ripping program received gold award from the best media review site TopTenReviews. This DVD ripper shareware is paired with a tool to rip protected DVDs with CSS, region code, PuppetLock, etc. You will spend $39.95 on Aimersoft DVD ripper for your basic DVD ripping needs and even optimizing your DVDs for playing on your computer, smartphone, gaming system, etc, thanks to the 175 output profiles. However, this program cannot do a straight rip of DVD, ISO image or DVD folder to your hard drive, but only rip DVD to video/audio format first. 1. Support all types of DVDs, incl. DVD with 99 titles and even the latest DVDs. 2. Ready-made preset profiles for latest mobiles. 3. Full GPU Acceleration speeds up ripping process up to 5X faster than others. 1. Single color on the interface. 2. Lack the ability to burn new DVD disc. 1. Don't support ripping 99-title DVDs. 2. Many new DVD protections are unsupported. 3. Output formats are limited to MP4 and MKV only. 1. Free, fast and reliable. 3. Intuitive interface with clear manual. 1. It's difficult to get hold of the latest version. 2.You are not allowed to rip DVD to MP4 MOV and other file formats. 1. Consume a lot of CPU and other resources while ripping. 2. The output formats are limited to MP4, Apple TV and iPhone/iTouch. 1. Great to support DVD protections. 2. Support copy DVD to hard drive. 2. No longer available in U.S.
1. No more output option than MKV. 2. Do not support the latest DVDs. 1. Search and embed DVD info. 2. Convert many DVDs with protections. 1. Cannot rip DVD to hard drive straightly. 3. Latest device profile is still iPhone 4s. MacX DVD Ripper Pro is one of the best DVD ripper tools that you can find for ripping DVD to your Mac. It's a handy thing to have when you're trying to rip your DVD collection. If you have an extensive DVD collection, it can become impractical to store it on your standard shelving. MacX DVD Ripper Pro works fast while maintaining a high level of quality. Both beginners and advanced users can work with the default conversion settings, which are fully customizable. The broad range of supported devices is also terrific, making it an all-in-one Mac DVD converter. With MacX DVD Ripper Pro, you can back up DVDs multiple formats to ensure you don't lose precious memories or costly software, and you can even rip encrypted DVD to a slew of iOS devices in minutes without compromising quality! and you can even ri without compromising quality! HandBrake grabs video from a variety of sources and helps to rip DVD to Mac/PC with MKV or MP4. Note that HandBrake isn't necessarily the easiest program to use. Beginners should stick with the defaults, although advanced users will be pleased at the number of options. Some recent DVDs include a new technique for preventing ripping; these DVDs can prevent HandBrake from ripping them. As HandBrake's developers note, "HandBrake's more about video conversion than stripping copy protection." For best results, you should resort to Handbrake alternative if you wanna rip protected DVDs on your Mac or PC. HandBrake offers you the possibility to convert DVD to modern MP4 or MKV containers. Even if this free DVD ripper can convert video from DVDs and Blu-ray disks, it does not have ripping capabilities: it cannot handle encrypted discs, and copying the data to your Mac first is advisable to reduce the processing time. MacTheRipper is excellent at disabling DVD encryption code. And it can rip a 100-minute DVD in just over 22 minutes, which is a nice speed. This Mac DVD ripper open source has straightforward instructions, helping you make the right choices to free a DVD for copying and region-free playback. MaTheRipper exists in a few forms. The free 2.6.6 version found floating around the Internet is old, contains the software necessary to deal with protected DVDs, and doesn't work with many modern DVDs. What's worse, it doesn't work on Mac OS X newer than Snow Leopard. To get the current version, you should pay for it. MacTheRipper is a specialized utility that comes with quite a hefty set of tools designed to allow you to backup your DVDs to your Mac's hard drive. This Mac DVD ripping software is also quite easy to remove various limitations from DVDs without the hassle of embedded warnings and extra content. RipIt is obvious the Mac DVD ripper designed with ease of use as the primary goal. One other advantage of RipIt, besides its ease of use, is that it's able to rip many newer DVDs that include protection tech. And it has free trial for a week, costs under twenty bucks. a good product, good deal. RipIt is a solid application that performs as advertised. However, it lacks some of the most basic features we look for when we rate and rank the best Mac DVD copy software available. While it is great at ripping your DVDs to hard drive, there is no functionality to burn that content onto a new disc. RipIt is dead-simple to use. However, simplicity has its price, and sometimes that price is a lack of flexibility. I'd like to rip only the movie, and omit all the extras that movies come with. RipIt does not support this; it does all or nothing. Hope the future version can rip individual scenes from a movie. The fact that the decryption tools are built into the software is a huge boon for DVDFab because it means you don't have to download a third-party app to unlock the movies on your DVDs. DVDFab's DVD Ripper has you covered with its wide range of options. software lets them do that easily as well. The list of supported formats includes AVI, MP4, WMA, WAV, AAC and many more. we'd note that the app is frequently updated to cope with newer copy protection on even the latest DVDs and Blu-ray discs. The rips from DVDFab are easy, one-click, and work. Where MakeMKV really shines is in just hoe simple the whole conversion process is made. Once your disc has been analysed, your will be provided with a new video file in a very short space of time. As well as keeping menus and chapters intact, the program will also retain all audio and video tracks. MakeMKV is a two-click decrypting, ripping and converting tool for DVDs and Blu-Ray discs. Literally all you do is pop in the disc, click the DVD or Blu-Ray icon, and then hit Make MKV—30 minutes later, you've got yourself a high-definition MKV file that can be played in most media players. MakeMKV has a simple little name, and there's no big trick to transcoding a video from one container format to another. It also has an expansive library of preprogrammed output profiles that allow you to optimize your rip for whatever device you happen to be carrying around in your pocket. The software also allows you to manipulate technical aspects of the video such as frame rate, resolution and bitrate. The nice thing about this app is that it allows you to perform a certain amount of editing before the DVD is ripped. You can select the chapters, subtitles, extras and audio track you want to include and even trim the border around a movie. 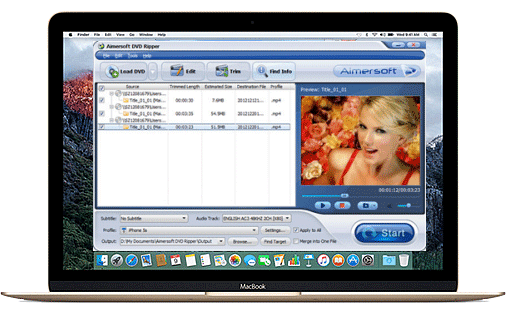 Aimersoft DVD Ripper is an application that can convert DVD, ISO and IFO files to several media formats, including AVI, MP3, MKV, MOV, WAV and WMA. You can configure you audio and video options, such as resolution, encoder, frame rate, bit rate, sample frequency rate and channel. Choosing a good DVD ripping software is no place to cut corners. So we've conducted repeated tests for best DVD ripping performances of the seven DVD rippers, including DVD ripping speed, quality, ability to access encrypted DVDs, movie customization, etc. The tests involves in Mac DVD rippers comparison and Windows DVD rippers comparison. Click the button to get the specific test. It's well known Handbrake and MacX DVD Ripper Pro will convert DVD to MP4 on Mac for specific devices, along with parameter adjusting and video editing. With Mac The Ripper, you cannot get rid of newer protections unless you can grab MTR 3.x or newer by joining RipDifferent forums. 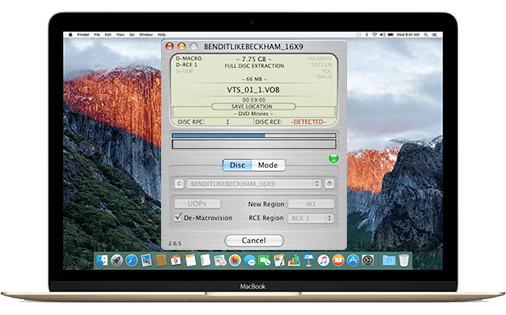 MacX DVD Ripper Pro and RipIt are incoporated with DVD decrypter and DVD decoder to handle almost everything you throw at them, however the latter only rips DVD to Video_TS folder. Below is the table of the four DVD ripper for Mac tools. Note: the DVDs tested are the 114 min, 8.05G Thor and NCIS (40:59, 7.04G) as RipIt refused to open Thor, both from Paramount Pictures, one of the companies that impose tough protection measures on discs. Before ripping DVD on Mac, make sure it's legal to rip DVD in your country. We (and others) think that you can rip DVD legally purchased for personal use only. Speed - How fast can you get with each DVD ripping software on Mac? Specifically, MacX DVD Ripper Pro read the title within 3 seconds and took 36.55min to rip Thor into MKV but only 9.2 min to encode DVD into MP4 (h.264), partly because we follow the developer's suggestion to tick the box hardware encoder, which is officially called Level-3 Hardware Acceleration tech that finishes DVD decoding, processing and encoding with full GPU enabled and managed to speed up the ripping process 5x faster than normal encoding; Handbrake used 20min to rip the disc into MP4 and 23min to MKV, quite long of which is used to scan the right movie title (3 min). MacX DVD Ripper Pro had a higher frame rate than Handbrake (206fps vs 116fps) while the CPU usage is about 150% vs 780%. RipIt failed to open the movie Thor, so TV show DVD NCIS (40:59, 7.04G) was tested and it ripped a dvdmedia within 12min. MacTheRipper becomes obsolete on non-PowerPC Macs (Macs running on systems after Snow Leopard 10.6) and the newest MTR 5 still failed to run on my iMac on El Capitan. Therefore we also ripped NCIS with MTR on a 17" MacBook Pro with a 64-bit 1Ghz PowerPC G4 processor, 16 GB of RAM, OS X 10.5.8 Leopard, and the ripper took 45 min to finish the job. In conclusion, MacX and Handbrake are the best free alternatives to Mac The Ripper and RipIt. Quality - Which DVD ripper will rip DVD on Mac with best quality? As MacTheRipper copies DVD into ISO/Video_TS and RipIt into .dvdmedia, both without converting the source movie, the output quality is as the same as the original but with larger file size: RipIt outputted a 7.03G dvdmedia for the 7.04G TV DVD, and MTR had a 7.04G file to include the extras and 3.26G for the main title only. The quality comparison goes to MacX DVD Ripper Pro and Handbrake, two Mac DVD rippers that convert DVD. Comparing the output Thor MP4 file, both of the DVD rippers for Mac have a quality close to the original DVD. MacX DVD Ripper Pro has smaller file size (789M vs 852M, 720*404 vs 720*368) under the same settings (821kbps) and shows better control on quality and size, with flexible settings to adjust the final file without obvious quality loss; while slight tweaking on Handbrake can result a flickering or stuttering screen. So the former is the best choice for DVD ripping task, if file size is essential to you. Ripping ability - Can the DVD ripper for Mac rip protected DVD movies? RipIt claims to create region and encryption-free backups. In our test however, it failed to open Thor (Paramount) and couldn't rip Tangled (Disney) properly. Apparently, there are tough movies RipIt can't rip. MTR says it will cope with CSS, Macrovision, RCE region and set the disc's region code to '0' by default. But the version of Mac The Ripper available now is too old to be compatible with newer protections, like Casino Royale (Sony). Handbrake requires libdvdcss to decrypt DVDs and get best possible result. With VLC installed, it took minutes to identify Thor's title, and selected wrong title for NCIS DVD. MacX DVD Ripper pro embraces a unqiue title check machanism and upgrades regularly for encryptions like CSS, Sony ARccOS, region, UOPs, APS, Disney X-project, etc. Its latest version now supports ripping all intractable DVDs (99-title DVDs, workout DVDs, Japanese AV DVDs, damaged DVDS and even the latest DVDs). In our testing, it quickly finds the right title. To further confirm its decrypting ability, we tested it against Manchester by the Sea (Lionsgate), Hacksaw Ridge, Tangled (Disney), Wall-E (Pixar), Casino Royale (Sony), and new releases (Finding Dory), all of them were successfully scanned. So we draw a conclusion that MacX is the best for encrypted DVD ripping task. We also did a test of the best windows DVD rippers in the section all and you will see that MacX DVD Ripper wins for reasons, like more output options, faster DVD ripping speed, and more importantly, the ability to support new DVDs. Check the detailed comparison below. Note: Higher computer configuration and fast speed of DVD drive will give rise to faster DVD ripping speed. Our test is carried on a 64-bit Windows 10 Pro with Intel(R) Core(TM) i5-6200U CPU and 8GB RAM. Which DVD Ripper Runs Fast on Windows? As to the disc loading and ripping speed, MacX DVD Ripper Pro tops other 3 DVD rippers by an overwhelming superiority. In our DVD loading test, there isn't much difference among the 4 DVD rippers. When you load the DVD (I Am Wrath, 1:30:44min, 4.37GB), MakeMKV took 35 seconds to scan the disc title, 10 more seconds than MacX DVD Ripper Pro, Aimersoft DVD ripper and DVDFab DVD Ripper. The striking breakthrough lies in the DVD ripping speed among the four DVD transcoding tools. MacX DVD Ripper Pro, Aimersoft DVD Ripper and DVDFab DVD Ripper claim to make use of hardware encoding tech to speed up the ripping process. But the end results are quite the different. When we choose to rip DVD to MP4 (H.264) on Windows 10, MacX DVD Ripper Pro carried out the DVD conversion task pretty fast and used a surprisingly low amount of CPU and RAM with a good response time, managing to rip DVD to MP4 within 10 minutes only. The conversion frequency reaches up to 280 fps. While DVDFab DVD Ripper and Aimersoft DVD Ripper took 7-12 minutes longer than MacX DVD Ripper Pro. While MakeMKV listed 20 titles available when reading I Am Wrath DVD and failed to rip this disc. So we choose another elder DVD Divergent for test. And the speed is amazing, though it doesn't tout any tech to accelerate the DVD ripping process. In our test, the DVD read speed reached averagely 40-50 M/s and the whole DVD to MKV conversion took only 12 minutes. So if you value the speed, MacX DVD Ripper Pro or MakeMKV is the best and fastest. Blurry or pixilated image will definitely ruin your movie watching experience. A great DVD ripper regarded as the best will be surely competent for outputting the rips with high audio/video quality. Our test also emphasizes on the quality result. This time MakeMKV didn't produce any noticeable quality difference as the output MKV format helps to keep exactly the same quality as the original DVD yet retaining all tracks and subtitles. If you don't mind the parameter configuration or the large file size, MakeMKV is a nice choice to make a lossless backup of DVD collections. MacX DVD Ripper Pro, DVDFab and Aimersoft offer rich preset profiles and are available to adjust the parameter settings. To make a better differentiation, all the three DVD rippers output movie rips in MP4 format since it reaches the best balance between visual quality and file size. 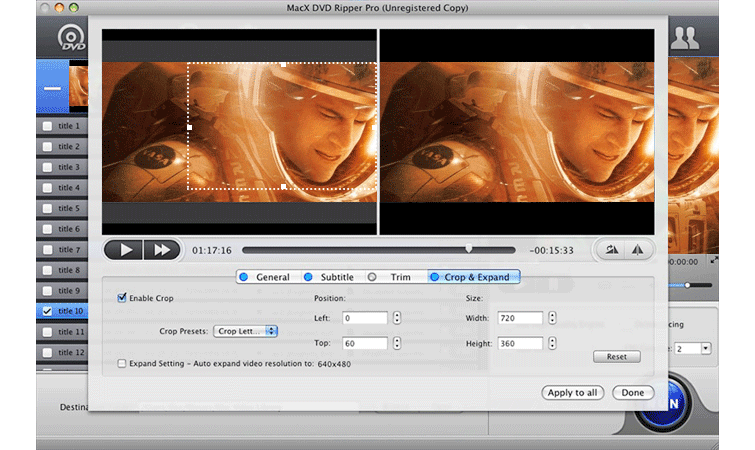 We are happy to find that MacX DVD Ripper Pro ripped DVD to MP4 without hurting video and audio quality. You won't notice any quality loss even on big screen. You can check the Deinterlacing and Use High Quality Engine to get the best ripping result. With DVDFab you lose the original DVD quality but get smaller movie size, while the image with Aimersoft is pixilated, even we upped the bit rate and resolution parameters. We not only have the classic DVD discs but also enlarge our DVD library with the new discs. So the best DVD ripper shall also have the knack for supporting the complicated protections and conquer all the latest DVDs, or other unusual DVDs formatted in unusual ISO. So besides the elder DVD Transformers 2, we also got the Lionsgate I Am Wrath, the workout DVD, the Disney DVD Finding Dory and other newly released DVDs for the ripping test. MacX DVD Ripper Pro is satisfactory, correctly choosing the right title 23 and making a smooth ripping without error when ripping I Am Wrath. DVDFab crashed several times and finally worked after changing the video encoder to Software from CUDA. MakeMKV stuck in ripping Lionsgate DVD, with 20 titles available. The free DVD ripper showed "Internal error (904) or skipped with navigation error when loading Disney movie. Aimersoft successfully parsed the title but the output video has no audio at all. Sometimes, the MP4 files have audio but it is out of sync or are messed up. We assumed this was a copyright issue. So we tried to test Aimersoft with Elder disc Divergent, it has no problem at all. Convert DVD to iPhone (XS/XS Mas), iPad (Pro), Samsung Galaxy, Huawei, etc. Supporting all DVDs encoded with CSS, Sony ARccOS, RCE, Disney X-project, etc. Constantly update for the newly released DVDs, 99-title DVDs, damaged DVDs, unplayable DVDs, etc. Support unique level-3 hardware acceleration, Multi-core CPU, hyper threading techs. High Quality Engine, Deinterlacing, Force A/C sync. Easy navigation, preset profiles, Mac-style interface. Edit out any unwanted part, merge movie titles, add language subtitles, extract images, etc. Adjust video bitrate, resolution, frame rate, add letter box or stretch to full screen, change the output video aspect ratio. macOS up to Mojave and Windows 10. Before we hop into this guide about how to rip DVD on iMac, Macbook Pro/Air or Mac Mini, you shall have a good understanding of the legal issue regarding to ripping a protected DVD. The DMCA and MPAA enforce the law against any rips of commercial DVDs. So we only advocate you to rip DVDs under the concept of fair use. Any reproduction of the contents violates the law. Have made up your mind? If so, move on. The following sector provides the step-by-step guide using MacX DVD Ripper Pro, Handbrake, Mac The Ripper and RipIt. But prior to the DVD ripping task, please make sure you have enough space on your Mac hard drive because a common DVD is 700MB to 9.4 GB large in size and clean the disc to ensure proper rips, then free download the DVD ripper on Mac and follow the steps below. Click DVD Disc or DVD Path to load DVD. It automatically chooses the right title. Select the output format. It takes 5 min to convert a protected DVD on Mac. Hit Browse to set the destination folder. Note: Please check the hardware encoder box to speed up the ripping process. Tap RUN to kick off the DVD ripping process on OS X.
Click the Source button to load the DVD after opening the DVD converter on Mac. Go to the Title drop-down menu, select the right part of DVD to be ripped. Go to Presets to choose what format or device you want. Hit the Start button, grab a cup of tea and wait for the final DVD ripping. Step 1: Set the extraction type to Auto Full Disc Extraction. 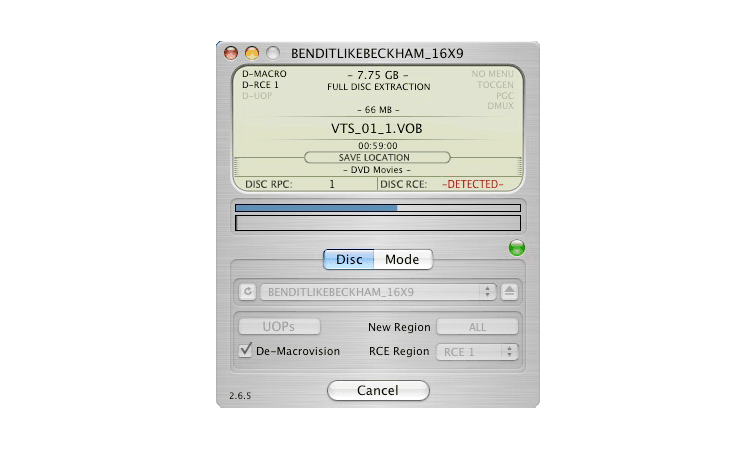 Insert the DVD to be ripped on Mac, MTR will automatically detect and scan titles. Leave the RCE Region popup menu OFF if MTR displays DISC RCE: - CLEAR -. Or set the region based on the DVD if MTR displays DISC RCE: - Detect -. Click Extract to start ripping DVD on Mac. The DVD will be saved as a folder on Mac computer. Insert a DVD in your Mac's optical drive. Rename the movie before going the DVD rip with RipIt on Mac. Tap Rip button to create 1:1 image copy of DVD on Mac or click Compress to export the DVD to formats playable on iPhone iPad. It takes about 30 min to backup a disc. If you want to encode DVD on Mac, the DVD ripping time is larger. Step 1: Go to the Ripper option and insert DVD disc to be ripped or Click +Add button on the main UI to load the DVD. Move to the left part and choose the format or device you like. Select audio tracks and subtitles, set parameter settings or edit the DVD. Move down to Save to part and select the output path for storing the movie. Click the Start button to begin ripping DVD on Windows. Place your DVD into the tray. Or click File to open the ISO image or folder. It will automatically choose the right title to ensure proper rips. Select the title and track. Press Make MKV button. The conversion screen will display the progress. Insert DVD disc into the DVD-ROM and click Load DVD button to import DVD, ISO image or DVD folder for conversion. Click Profile and select the format from the drop-down window. Click Find Info button to add metadata to the movie. Click Start button to kick off DVD ripping on Windows. No DVD slot in iPhone iPad Android is by no means impossible to watch DVD thereon. The following tutorials will show you how to keep your discs stored in your iPhone iPad and play them anywhere. The passion to share memorable moments is restless. For wedding DVDs or other homemade discs, it's a good idea to customize & upload it to YTB. Here are the tips to rip, edit and upload DVDs. From time to time, there is the case you need to copy DVD to DVD for burning, e.g. to prevent the precious DVDs from scratch. For any reasons, the following DVD copying tips will cover your needs. Movies with really good word of mouth are absolutely worth collecting. Except for downloading movies on Mac, PC, iPhone, iPad or so, to get the DVD version is another good option. So what are the best DVDs worthy of the rips and preservation? Here we list the top 10 best-selling DVDs and top 10 rental DVDs ever based on the users feedback, reviews and data from giant movie sites like IMDb, The Numbers, Netflix, Redbox, etc. Note: You can use the above mentioned DVD ripper software for Mac or Windows to digitize or copy the following DVD discs, as well as other older or new movies at your disposal. Moana is the 1st seller of 2017, which has shifted a whopping 1.769 million copies as of now. We suggest you to backup DVD Moana for lifetime preservation. Trolls is already the second best selling DVDs of 2017, with 1.644 million copies. Togetherness and teamwork are the two main elements worth your collection. Rogue One unsurprisingly debuts at No.3 on Disc chart and you are highly recommended to copy the DVD to safekeep it and digitize the DVD to watch it on the go. At Numbers 4 on the best DVD sellers list is Zootopia, the classic Disney movies. It's 2016 best selling DVDs with 1+ million copies sold worldwide. Frozenrecord-breaking sales of 899,000 copies in its opening week and somehow boosted DVD sales in 2013, fully deserving the title of best-selling DVDs. Sixth on the best selling DVDs chart is Sing. If you've run up against Sing DVD copy problem, check our top DVD ripper lists above. The film is at No.7 in best DVDs list. It depicts a woman's sexual pleasure and doesn't eroticize violence against woman. You can use DVD ripper for Mac/PC to digitize it for on-the-go viewing. Notable entry further down the list is Kong: Skull Island, which a reboot of the King Kong franchise. Fond of the Legendary's MonsterVerse? Buy a DVD & get a copy. Deadpool at No.7 in best DVD movies list. It features comic character and depicts a mercenary with healing factor and physical prowess. Though the Good Dinosaur is Pixar's lowest-grossing film, it's optimistic regarding to DVD sales. It set on a fictional Earth where dinosaurs never became extinct. Venom is a newly released Marvel's anti-hero DVD. When Eddie Brock gets the powers of a symbiote, he will have to release his alter-ego "Venom" to save his life. It depicts a story that a depressed uncle Lea Chandler is asked to take care of his teenage nephew Patrick after the death of his older brother Joe. The Academy Award winner generates 54% of the total unit sales according to VideoScan. Never hesitate to rip the Lionsgate DVD onto your Mac hard drive. It tops Netflix Top 100 chart, based on Disney's 1991 animated film of the same name, depicting a story of a monstrous prince and a young woman who fall in love. The 4th place title goes to the successful car-chase movie. It's wise to collect the last installment and digitize it either for safekeeping or convenient watching. It is the most worth-collecting DVD movie that received positive acclaim for performance and screenplay and won in the categories of Best Director, Actress, Cinematography, etc at the 89th Academy Awards. Rounding off the top 6 is Logan, whose attempts are upended when a young mutant arrives. Never regrettable for copying the movie with a Mac DVD ripper. The second installment was released on DVD in US on Aug 22, so never hesitate to get the DVD version and copy the film using a DVD ripping tool. Popular for acting & complex character, though containing sexuality, Games of Thrones received 38th Emmy Awards and is one of top DVD rentals now. Spolight is one of the best Oscar movies 2015. This film is about how Boston Globe uncovered a pattern of sexual abuse of children by Catholic Archdiocese. Can I add subtitles to a DVD movie? Subtitles help us understand the movie, especially when it comes to watching a foreign movie and learning a foreign language. 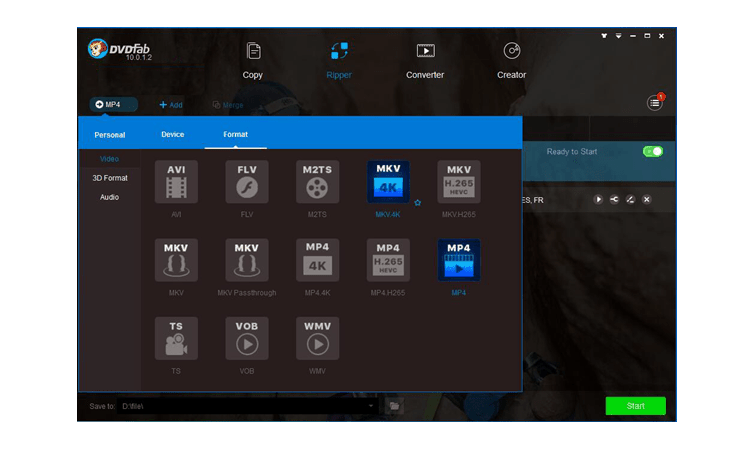 Fortunately, there are many DVD rippers such as MacX DVD Ripper Pro, Handbrake and more that can add subtitles in other languages to your DVD movies freely. Is DVD Ripper for Mac/PC legal? Frankly, this is a grey area. The DMCA makes a clear statement that ripping a copyrighted DVD without the consent of the copyright owner is infringement. But making a "personal use" copy of DVD is not explicitly allowed or forbidden. If you want to rip a DVD, specially a protected one, think it over. What is the best format to rip DVD to? It depends. For a high image quality, copy DVD to ISO image or MKV format as it preserves all audio, videos and subtitles. For a small-sized DVD rip, choose MOV, FLV or WMV. While to rip DVD to MP4 on Mac in H264 is recommended as you can play on almost all devices and keeps a good balance between quality and size.